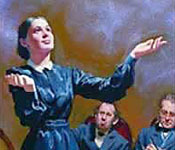 We have drawn from many sources to illustrate the topics that are addressed on www.EllenWhite.info. Most of the illustrations and photos that have been used are in the public domain; however, a few have been obtained by permission. We want to especially thank two publishing organizations who have granted permission for us to use selected artwork: Pacific Press Publishing Association and the Review and Herald Publishing Association. Although we have done our best to ensure that all illustrations are used with proper permission where necessary, please contact us immediately if you identify what you believe to be a copyright violation.